Today, I'm back to butterflies....LOL. I've pulled out my Beautiful Butterflies and Beautiful Wings dies and I'm using up a few assorted die cuts I've had laying on my desk which I'm using as a base for my butterfly. This is today's card using cardstock of Elegant Eggplant, Coastal Cabana, Basic Black, Whisper White and Silver Glimmer card. I've stamped the Elegant Eggplant card base with Illuminate Ink and the swirl from the Everything Eleanor stamp set. The Greeting is stamped in Elegant Eggplant Ink onto Whisper White card and is from the set called Perfect Pennants. The largest of the Apothecary Accent framelits dies has been embossed with the square lattice embossing folder. Thanks for calling in today to check out what I've been doing. Hope you have a great Monday. Today I opened my pack of Watercolor Wonder Notecards for the first time. They come with matching envelopes in a pack of 20 and are perfect for quick thanks yous, needing little in the way of embellishment because they are preprinted. Here is a picture of them below. I've chosen to use the top one in the yellow tones with the Oval front for my card, which I've stamped with an image from the Peaceful Petals stamp set and coloured with blender pens and markers. Have a look. I've used Bitty Banners a to cut and mat my greeting from the Teeny Tiny Sentiments stamp set. A closeup of my coloured image is below. You can just stamp directly onto the card and colour it. I've stamped with Stazon black ink. Couldn't be simpler could it? I hope you like my card today and I want to leave you with a final image, which fits the weather here. More storms and rain predicted. A friend of ours who owns the local bakery dropped this Apple pie off for us. How is your day going? Looks like our rain has left us here for the moment. The sun is shining and that means with the wed ground and the humidity in the air, that its quite hot and sticky weather. We have the air con running inside. Today's card uses a combination of sets with the main image, coffee cup from the set called Perfect Blend. I've combined this with Everything Eleanor (swirl) and Perfect Pennants (Hello). You might also notice I've also added a little butterfly from the Papillon Potpourri stamp set. While it has nothing to do with coffee, it does go with friends. So many of you know how much butterflies feature on my cards. My friends would think it strange it I stray away from them for too long...Lol. Have a closure look at my coffee cup. It's a quick post today as I have a class on tomorrow and preparations are in full swing. Today's card uses the Sale-a-bration stamp set called See ya Later and the particularly greeting on this stamp I'm using is Once in a Lifetime you meet Someone who changes everything. Perfect for Engagement or Anniversary. The stamp has been coloured with Markers, Primrose Petal and Raspberry Ripple to get a two toned stamped image and cut out with the Deco Label Framelits. The Background is the Gold embossed vellum (hearts) and my cardstock is Raspberry Ripple and Whisper White. This is the full view of the card, simple and elegant. Some of the Gold vellum hearts were punched out with the small heart punch and some Raspberry Ripple ribbon was added. Thanks so much for stopping by. Wishing you all a wonderful weekend. Today the rain is absolutely pelting down here. So good for our water tanks and dams. It's been a while since we had any decent rain, so we are thankful. The added bonus is that this weather is perfect for staying indoors and crafting. 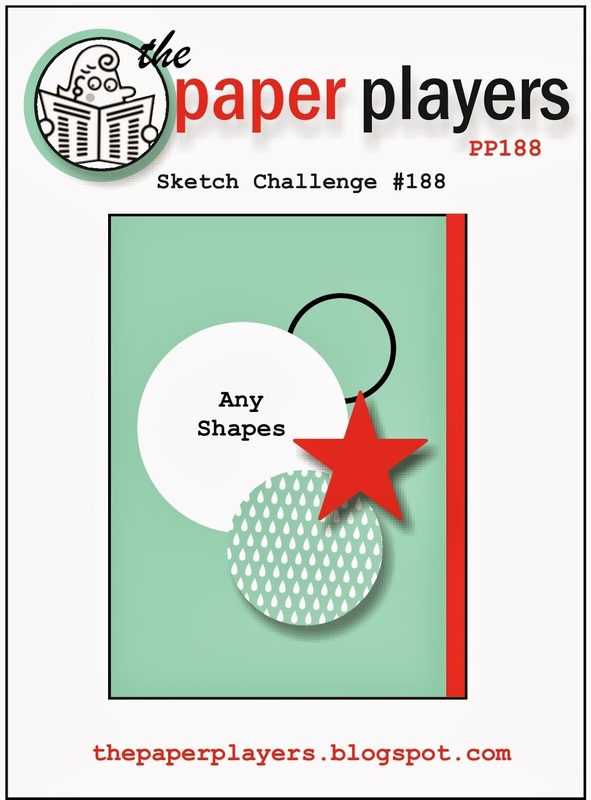 I haven't played in the Paper Players Challenge for a while but the sketch this week looked really interesting. I decided I would combine a number of sentiments here for a feel good card. I'm using the sets Perfect Pennants and Starburst Sayings with Gorgeous Grunge, some washi tape, circle punches, Hearts and Pennants framelits. Here is my card. I love the collage effect I've been able to achieve with this sketch and the variety of elements. My cardstock is Pistachio Pudding, Very Vanilla, Crumb Cake, and Coastal Cabana. Of course, I also had to sneak in a little butterfly from the Beautiful Wings embosslits too. Below is a photo which shows some of the detail more clearly. 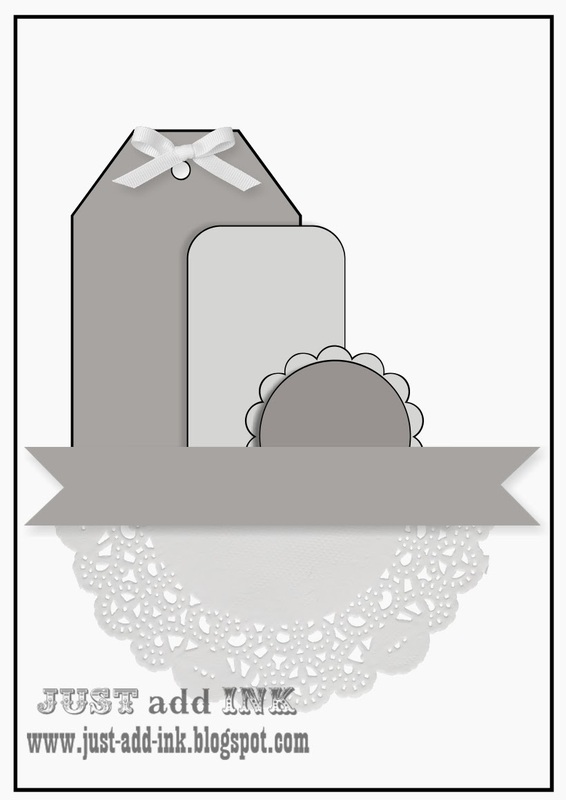 Welcome to Wednesday Sketch Challenge for the Paper Craft Crew. Today I'm using my new stamp set called Life in the Forest, which I've combined with Just Sayin' and the Woodgrain background stamp. The cardstock I've chosen is Basic Gray, Crumb Cake, Pistachio Pudding, Whisper White and Always Artichoke. There was a bit of fussy cutting involved here as well as a little colouring. The tiny banners on the sketch were punched from the SAB papers. I've given you a slightly enlarges look at the detail here. We hope that you will join in this week with an entry of your own. We'd love to see what you create. In the meantime pop over to the Paper Craft Crew to check what else the Design Team has made for your inspiration. And finally, there's only till the end of this month for Sale-a-bration, so don't forget to place your order with me. How are you this Happy Tuesday? Why happy? Well its raining and we really need it. For today's card I was thinking of the Alfred Hitcock movie The Birds. Anyone else remember that one? I remember that I had nightmares about those birds. When I went through my stash of Modern Medley designer paper the other day for my Black and Vanilla butterfly card, this sheet with the birds reminded me again of that movie, so I've decided to use that today. I'm teaming the Modern Medley papers for this card with banners and the stamp set Layered Labels. Here is a closeup of the greeting here. The cardstock used is Basic Black for the base and Very Vanilla for the greeting (stamped with Jet Black Stazon Ink). Here is a photograph of the whole card. Some crochet trim softens the card a little and I finished it off with some pearls. Thanks very much for stopping by today to see my card. Hope you have a Happy Tuesday. Here's another Butterfly card today. Butterflies really do brighten my day. This time I'm combining the Peaceful Petals stamp set with Papillon Potpourri butterflies and some of the Sale-a-bration patterned paper cut into banners. If you think this layout's familiar, you would be right because I did do a similar card in different colours here. The cardstock used is Coastal Cabana, Basic Black and Whisper White. Inks used are Summer Starfruit, Bermuda Bay and Stazon Black. Here's a closer look at my butterflies below. Thanks very much for stopping by today. Enjoy yours. How has your weekend been? Mine has been an interesting mix of relaxing, catching up with good friends, crafting and music. Plus the usual Sunday running around taking my daughter to and from work. It's turned quite warm again here and there is some rain expected for the State, in fact a lot of rain due this week. I hope we get some in this region. For my card today I wanted to use a Classic Colour Scheme and the Modern Medley dsp is Basic Black and Very Vanilla printed. It helps make for an elegant design which could be suitable for either gender depending on the embellishments, or great also for an Anniversary card (which I've done in the past), just alter the greeting. I'm using my Beautiful Wings die for a black butterfly this time perched on a Vanilla framelit cut with the Apothecary Accent framelits over a paper doily, so I suppose you would class this as a feminie card. Have a closer look at my Butterfly. Happy Saturday! Today's card is something completely different than Butterflies. Did you say Yay? Today I'm using the stamp set Life in the Forest for the very first time. You could actually call this card "What did the Fox say" Lol. I was inspired by a card design of Linda Heler for the main image of the fox with the mouse on his back and I turned the card into a Portrait design, hers was a landscape one. The cardstock used is Basic Black, Whisper White, Always Artichoke, Bashful Blue (retired), and Pumpkin Pie. There is quite a bit of fussy cutting involved but I think the results are well worth it. The Patterned Paper used on the background is already from a retired In Colour Paper stack, that stripy pattern being Peach Parfait (colour). The greeting comes from the stamp set Just Sayin cut with the matching Word bubble framelits which can be purchased as a bundle. Here is a closer look. This week at Just Add Ink there's a sketch that I wanted to play along with. Here it is below. I think it's really cool and versatile. I'm using Watercolor Wonder designer patterned paper and Designer Gold Washi tape on by card along with a combination of stamps and tags, Scallop Tag Topper punch, Chalk Talk Framelits and Circle punch. Here it is. The stamps are Peaceful Petals, Petal Parade, Papillon Potpourri and Petite Pairs. I've used cardstock of Baked Brown Sugar, Whisper White and Crisp Cantaloupe. Inks are Whisper White, Daffodil Delight and Crisp Cantaloupe. Here is a closeup of the details. This has turned out to be very pretty, even if I do say so myself. Thanks for stopping by today to see my card. Please let me know what you think of it and have a great weekend. How's your Thursday been? We've had a cooler day today for the most part with a few scattered showers, until the sun shone again and it got sticky. I've combined some leftover pieces from my desk for today's Butterfly Card. I have been giving my Butterfly dies a workout lately and I've used 2 different dies, both the Beautiful Butterflies die and Beautiful Wings embosslits. I had cut some Butterflies out of patterned paper from the pack called Eastern Elegance and I decided to fold 2 of them in half to show off both sides of the patterned paper joining them down the middle and adding another on top for layering, then finishing with some Rhinestones down the centre. Have a look below. It's Wednesday today and that means its time for the Paper Craft Crew Sketch Challenge. This is the sketch. It's a sketch for a square card, which I love with some layered banners. Here's my take on the sketch. I'm using the Swallowtail background stamp and Gorgeous Grunge on my background card of Smoky Slate. This has been layered onto a base of Island Indigo. Add Whisper White and some Watercolor Wonder patterned paper, plus the stamp set Everything Eleanor and Itty Bitty Banners for the greeting. The images were stamped with Island Indigo, Smoky Slate and Wild Wisabi. Come and join in with this weeks challenge. We would love to see your creation. I've made a Happy card with a Big Beautiful Layered Butterfly for Happy Tuesday today. I'm not really happy today, but Butterflies have a way of cheering me up. An online friend recently commented how she thought I didn't have enough Butterfly dies as I tend to use the same Butterfly stamps often. This card is proof that I do actually use my Beautiful Butterflies dies as well. Here is that Layered Butterfly using both Beautiful Butterflies and Beautiful Wings dies. I've combined Cardstock of Bermuda Bay, Whisper White, Gold Foil and the gold printed Vellum on my card here. It's an Easel card using the Top Notes die as my base. Here's the card. The greeting is from the Sale-a-Bration stamp set See ya Later, which you can earn for free with your $90 order by the end of this month and I've cut it out with the Deco Label framelits. Here's a closer look.